Jaw crusher is the first process of crushing rock. It can process all kinds of ore with compressive strength not higher than 320MPa to medium grain size, often with hammer crusher, cone crusher, impact crusher, sand making. Machines and other units together form a complete set of sand and gravel production lines, widely used in mining, metallurgy, chemical, building materials, electricity, water conservancy, transportation and other fields. In the process of using the equipment, the crusher blockage phenomenon sometimes occurs. How is this phenomenon caused? How to avoid this situation? Let's find the reason for these faults. The first type is the jaw crusher with high output and fast discharge, and the conveying machine does not deliver the material in time. The second type is the jumping of the supporting equipment, and the jaw crusher continues to break. Once this happens, it is necessary to clean up all the materials in the crushing chamber to continue the booting. It takes time and effort, and it usually takes at least one hour to complete. In order to prevent blockage, we use the acousto-optic indicator to directly indicate the dumping. 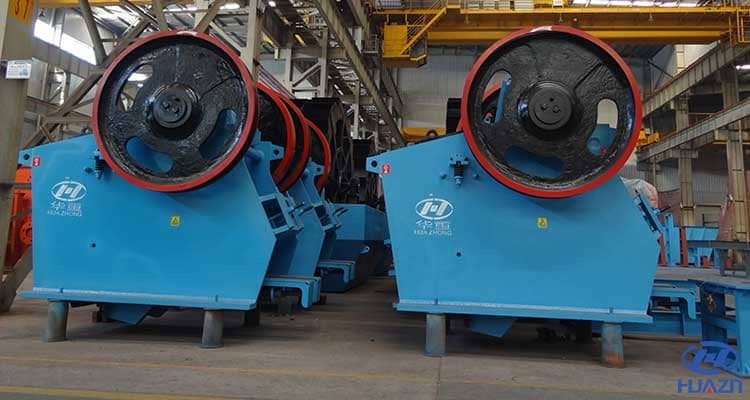 Because the running current of the conveyor under the E-type crusher has a good correlation with the material in the lower chamber, and each time the lower jaw body causes the jaw crusher to jump, the current characteristics of the slab conveyor , developed a solution. 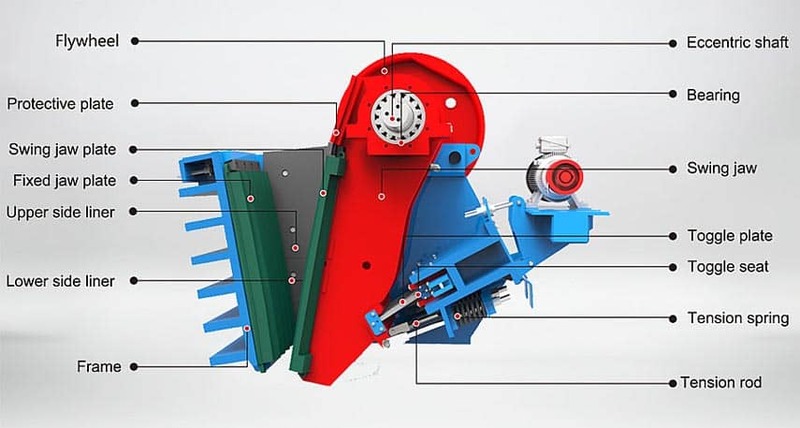 Install an electric bell and alarm flashing light at the dumping port of the jaw crusher, and directly connect with the relay in the electric cabinet. When the conveyor reaches a set current value, the relay is closed, the alarm light starts to flash, and the electric bell also sounds. If the downstream equipment is tripped and the conveyor current is zero, the audible and visual alarms will also be prompted. After receiving the alarm, the mine car driver will stop the material dumping, thus preventing the material from being blocked. Through the above analysis of the jamming failure of the jaw crusher, I believe that everyone has already understood that if such a fault is encountered in production, it can be solved. Jaw Crusher is independently developed, designed and produced by Dahua Machinery. The manufacturing process is exquisite and mature. The management method is scientific and reasonable, and it is directly sold to the first-line customers, ensuring the economical price under the premise of reliable quality. Sexuality, high cost performance, will definitely make everyone accept.